Want A Sports Bar Making Money? 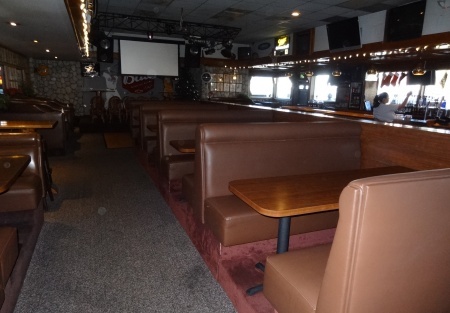 You can own this popular sports bar and grill. A very popular neighborhood hangout, this business has been around for 11 years. If you want to be an investor, the current owner has all the controls set up. All you have to do is go to the bank and watch the numbers! Pool Tables, Juke Box, Big Screen Tv's. This is THE PLACE to watch football and sportig events. New Booths. New Carpet. New and updated fixtures. Take advantage of this great opportunity!